Samsung’s original Galaxy Tab 10.1 tablet was initially banned in Germany, after a lawsuit between Apple and Samsung, and then Samsung released a new version of the tablet in Germany with a number of design changes, which the court agreed to, the Galaxy Tab 10.1N. 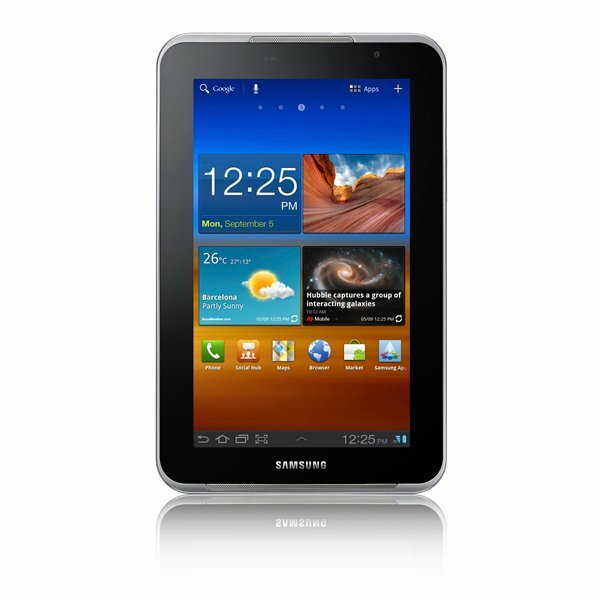 Now Samsung has released a new version of its Galaxy Tab 7.0 Plus in Germany, which you can see in the photo below, the Galaxy Tab 7.0N, which shares the same specifications as the original tablet. The Samsung Galaxy Tab 7.0N will be available in Germany later this month and it will come in both silver and white, it is expected to retail for around 600 Euros.